High Court throws out 200metres petition. The High Court in Dar es Salaam zone yesterday dismissed the petition lodged by a Chadema Special Seats contestant for Kilombero Constituency Amy Kibatala to permit voters to stay within a 200 metres radius after voting in order to guard the ballots. The ruling was given out by a panel of three judges, Judge Sekieti Kihiyo, Judge Aloysius Mujulizi and Judge Lugano Mwandambo. Reading the ruling, Judge Mwambando said that section 104 (1) of the National Elections Act, Cap 343 prohibits any person to organise any meeting on election day, whether such person is 200 metres of a polling centre or beyond. He said that according to the law it is forbidden for anyone to frighten or to hold any kind of meeting on Election Day. He elaborated that it is also forbidden to wear or display cards, images or a logo in favour of any candidate or show support for a particular candidate in an election or in the building where the voting process is done or going on. Wearing or display cards, images or anything relevant to the contest in the polls within the scope of 200 metres from a poll centre is thus prohibited, the ruling affirmed. “According to section 104 (2), anyone doing any of these that are forbidden to section 104 (1), will be committing an offence,” he said. But the judges said that the petitioner in her claim succeeded to get a correct interpretation of the law as requested but she did not succeed in a second petition of demanding the right to stay 200 metres from where the vote is taking place. The success in her claim is correct interpretation of the passage of the law as requested. On the other hand, the petitioner does not succeed in a second petition demanding the recognition of her right to stand or being present at a distance of 200 meters from the polling station. Considering the public interest and the need for an interpretation of section 104 (1) of election law the court does not regard that any side needs to pay costs of the trial. Last week a Chadema contestant from Kilombero District, Amy Kibatala through advocate Peter Kibatala filed a petition at the High Court under certificate of urgency, seeking the court to give a proper interpretation of the provision of Section 104 (1), of the National Elections Act, Cap 343 (RE 2002). In the case, she has asked the court also to give interpretation of the “import and effect of the provision” on the right of voters or interested persons to stay beyond the distance from where voting is taking place and where tallying is taking place. She has also requested the court to issue declaratory orders that voters have the right to stay orderly beyond the 200 metre radius from a polling station. Respondent in the petition was the Attorney General, who represents the government, while the second respondent is the chairman of the National Electoral Commission, the body vested with the mandate to supervise elections in the country. According to the petitioner, the Commission has issued a statement to the effects that voters and the general public, to the effect that they are not permitted to stay near a polling station, not even beyond the 200-metres radius permitted by law when voting is in progress. “The Commission has stated that no voter or any other person is permitted to stay in any area near a polling station where tallying of votes will be done,” she said in the petition. The petition states that the Commission has issued the said order purportedly pursuant to Section 104(1) of the National Elections Act, Cap 343. 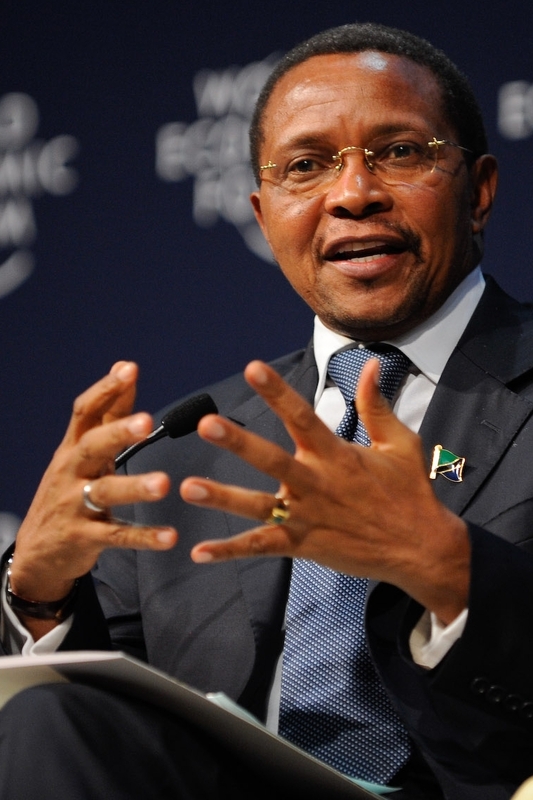 The petitioner was objecting to remarks by President Jakaya Kikwete on October 14 while addressing a rally to commemorate the passing away of the Father of the Nation, founder president Julius Nyerere. The president reiterated the Commission’s stance, stating categorically that force would be used against those who would not heed the NEC prohibition. From the president’s statement, the petitioner said, as a registered voter who fully intends to utilise her basic right, such a prohibition would affect her right to fully participate in the electoral process which is constitutionally required to be transparent, among other characteristics.